Prepare your car for summer. Summer, like winter, can take its toll on your car. Both mechanically and aesthetically, there are a number of steps that should be taken before the weather gets too hot. Here is a checklist of some of the most important parts of your car to check and tend to before summer. Four tires are the only contact your car has with the road. While there are other factors like shock absorbents, your tires are primarily responsible for keeping you on the road. Obviously, winter tires should not be used during warm weather and, as soon as winter is through, it’s time to get your tires changed. This is also the perfect opportunity to check the state of your tires in terms of tread and the tire wall. 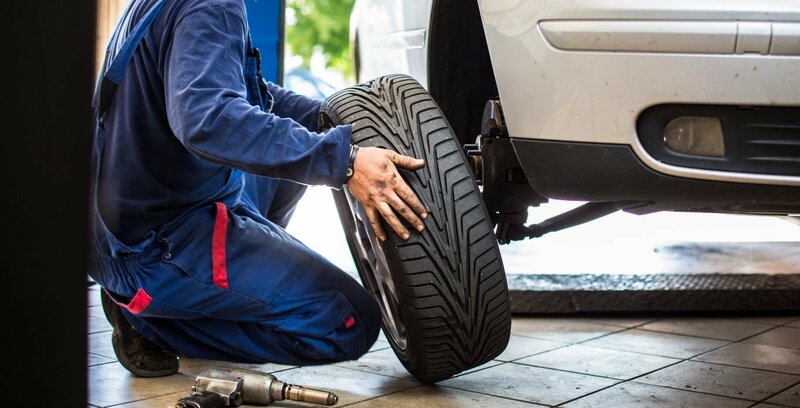 Cracked, worn, or deflated tires should be tended to urgently. If you use all-season tires, it’s still important to check them regularly for wear and damage. Rotating your tires also helps prevent uneven wear. In the winter we tend to drive slower than in the summer when roads are clear. Due to significant temperature changes, your brakes can crack or become severely worn. If your car does not brake as it should, if you notice a warning light on your dashboard, or if you have not checked your brakes in a while, it’s best to do so as soon as possible. The salt and harsh weather of winter can have quite an impact on the exterior and interior of your vehicle. All the more reason to have your car professionally detailed in time for summer. Remember, it’s not just about cleaning your car but also preparing it for the summer sun. The sun and airborne contaminants can cause significant damage. Apart from a wash and vacuum, it’s important to have your car polished if this has not been done in a while. If your car was recently polished, ask about a wax. Have any and all plastic trim treated to prevent cracking due to heat and, if you have leather upholstery, you should have it treated with a nourishing leather solution too. Your car relies on several fluids to keep it going. These fluids should be clean and at an optimal level. Remember, high oil levels (for example) can be just as harmful as low oil levels. Check your water in order to prevent overheating and make sure that you always check oil and water and coolant levels when your car is cool! If you check your water when the motor is warm, it can result in burns. If you check your oil after running the engine, some of the oil will be in the system, and it might look like the levels are low when they are not. Automatic transmission and power-steering fluids should also be checked to ensure that you do not experience any serious mechanical malfunctions as a result. Finally, don’t forget the brake fluid! 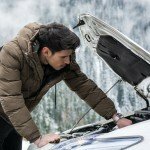 The cold winter can take a serious toll on your car battery. This is why it is so important to start and run the motor at least every other day in winter – even if you don’t plan on driving. If your battery is flat or quite low, it’s also a good idea to test the alternator. If the alternator is faulty and you replace the battery, it will drain the battery again, and you would have wasted your money. A clear line of sight is essential when it comes to driving safety. Windshield wipers are prone to damage from the elements. Extreme cold and heat can cause significant damage. Test your windshield wipers and, if necessary, have them replaced. At Wash Me Now, we offer a full range of professional auto detailing services. Our mobile team will come to you anywhere in the GTA and get your car ready for summer! Contact us at (647) 607-5199.